So if I were blogging in my limited amounts of free time this last month, there would have been nothing to blog about. I’m mean my last post was just a picture of a lot of boxes and a “sorry, can’t blog, I’ll do it later.” But now it’s been a month and a half and I haven’t blogged, and I feel terrible. So I’m sorry my poor neglected little blog. 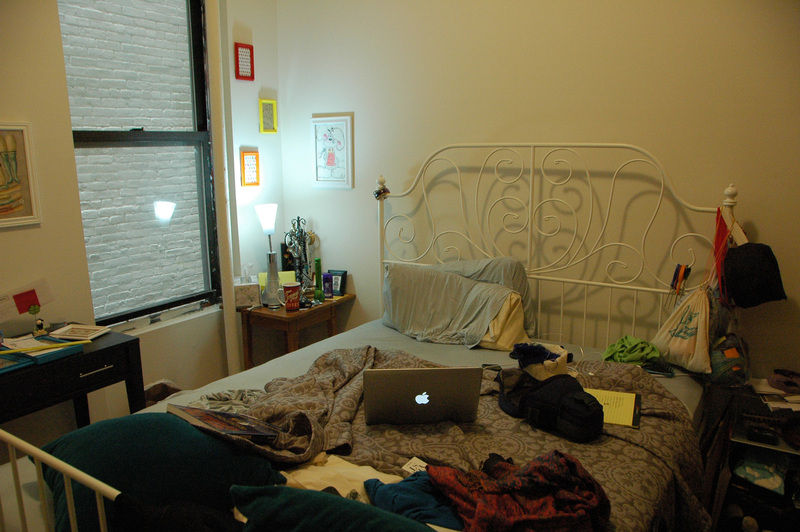 But on the plus side I did get a whole heck of a lot done. I finished a bunch of stuff. From bottom to top. Kora. Asymmetrical Bluebells. Eirwen. Ghosts & Mirrors. and Very Berry. I’ve written about all of these before mostly under different names, or under no name. Except for Very Berry (which seriously needs a new name), it was done so quickly that I never got a chance to blog about it. 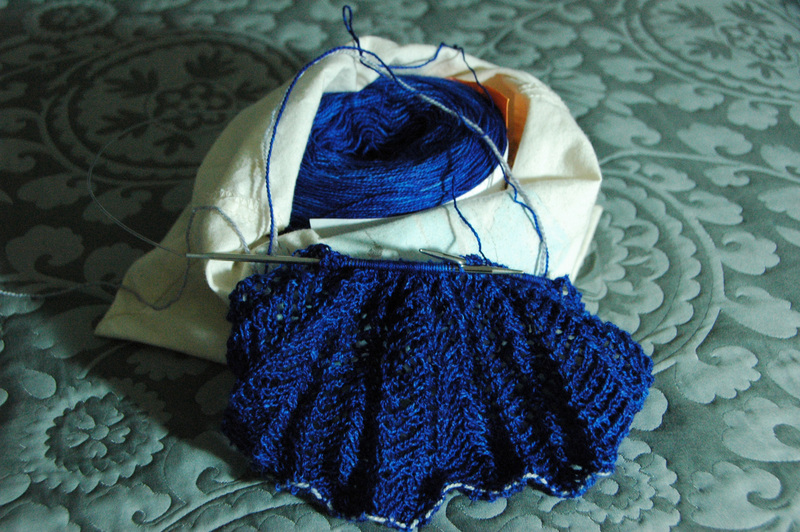 Another sample for my Arrowhead Stole in Tosh Lace colorway lapis. 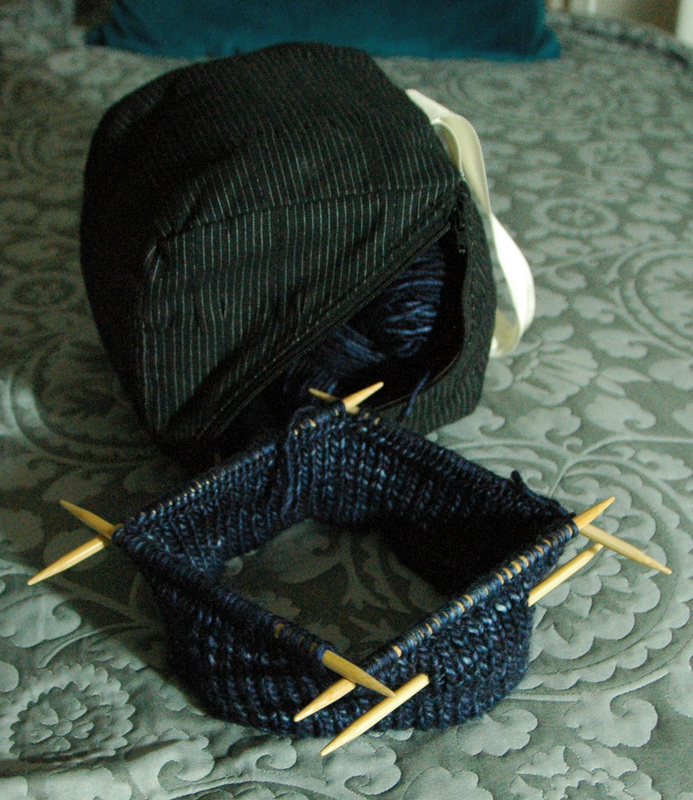 A new hat that I’m working on, probably with some sort of cable design. And I (sort of) made a smidge of progress on one WIP. 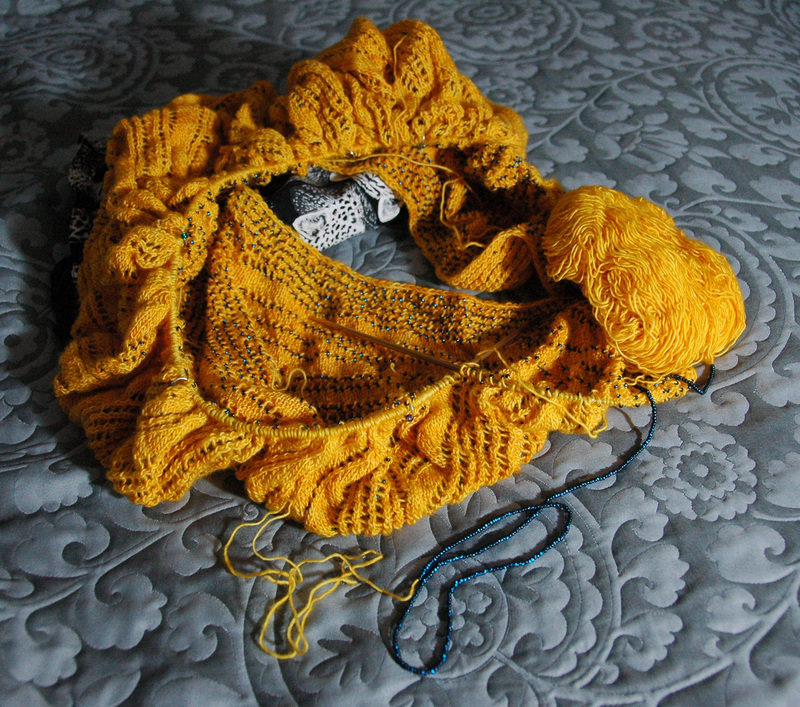 Only a few more rows to go on the shawl with a thousand beads. I bought also some stuff. 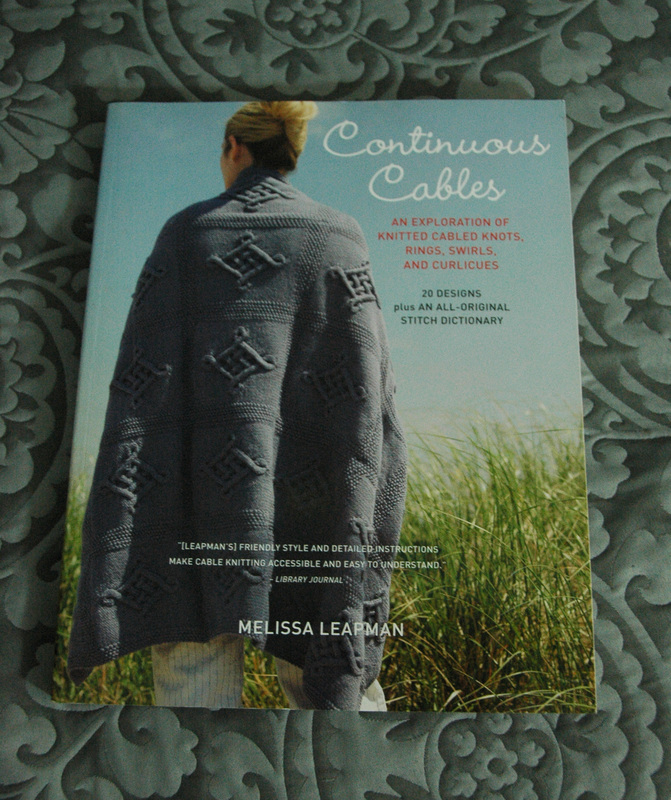 Melissa Leapman’s book Continuous Cables, which I mostly got for the stitch dictionary at the end of the book. 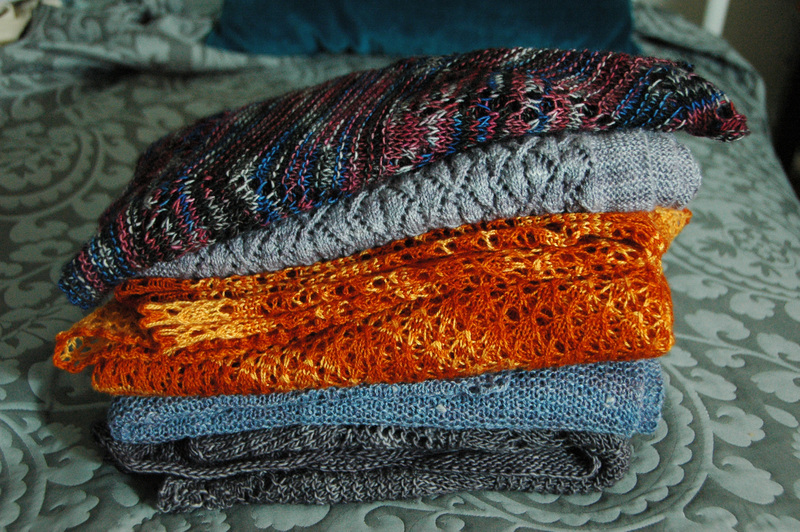 I think I’m going to play with some of these cables for the hat that I’m working on. 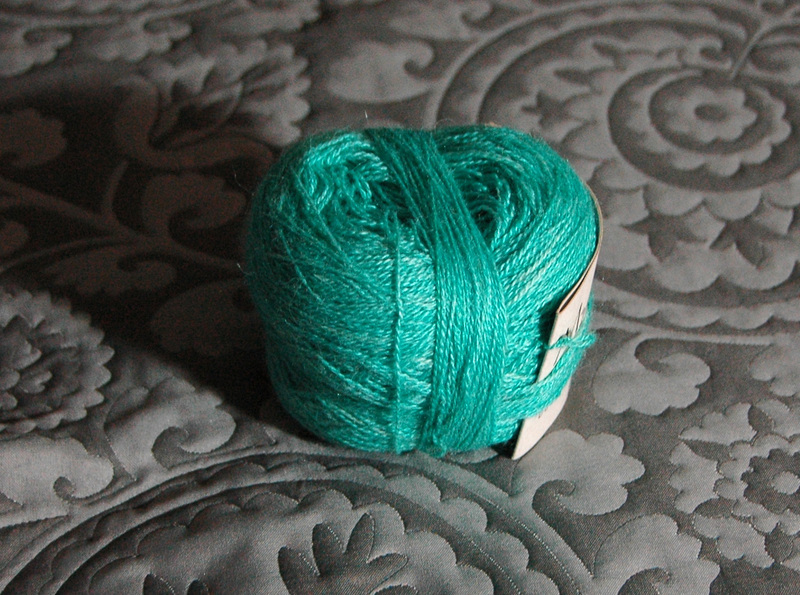 A skein of Manos Lace in “L2435 Aivina Aqua.” For another geometric lace stole with a garter stitch border along the same lines as Ghosts & Mirrors. 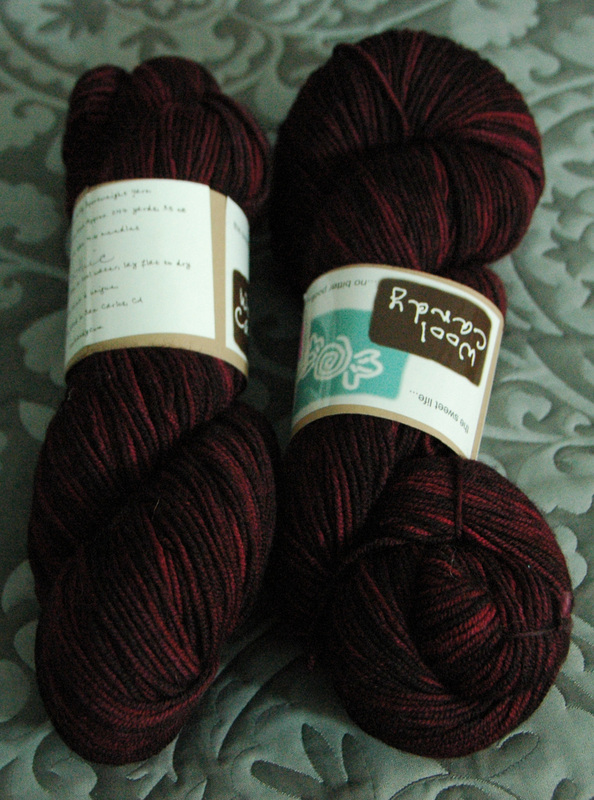 Two skeins of Wool Candy in “Gothic.” For an asymmetrical (not so) little something of a shawl. 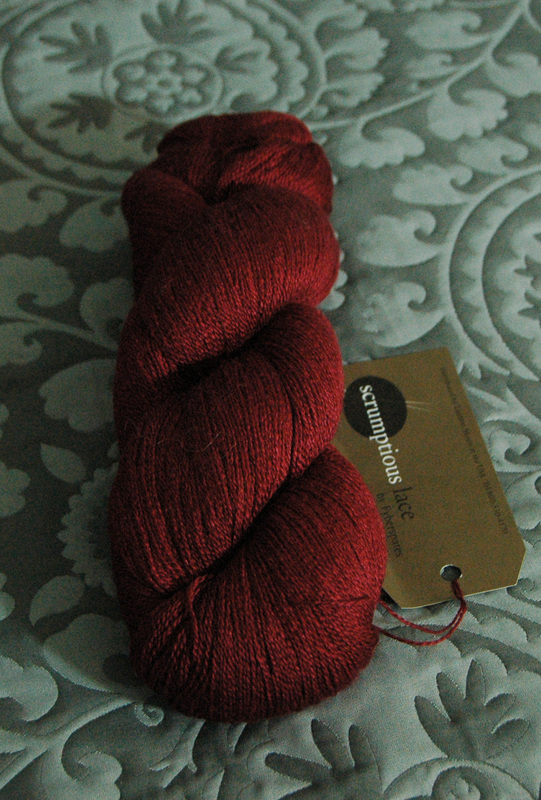 And a skein of Scrumptious Lace in “Cherry.” Just because it was pretty. So, so long and until next time my little corner of the Internet. I’ll try to get back to you soon. And I’ll try for a bit more balance between creating and writing about it. wow, a heck of a lot done indeed. welcome home, and grats on all of those FO’s and new purchases! Thanks! It’s good to be settling in to something of a routine.